From bumper & dent repairs to complete rebuilds. At Automotion we strive to be the best at what we do and always work to the highest levels expected by the industry. We aim to have your vehicle back on the road in its original condition. We are friendly and approachable team and want our customers to feel welcome and well informed, particularly when it comes to cost and timescales. We undertake our car accident repairs at our modern body shop based between Bedworth and Coventry near the Junction 3 on the M6 roundabout. A large proportion of our customers have been either recommended to us, heard of us by word of mouth or repeat customers from the commercial sector. We are always striving to improve our business; we have our supporting website which people can now find out more about ourselves.We offer a personal service that larger companies can not provide, we try and keep our overheads low to keep our prices always competitive, we are at hand to give advice on any repair work to keep the cost down for our customers, however if it affects the integrity of our work, we will tell you the options. 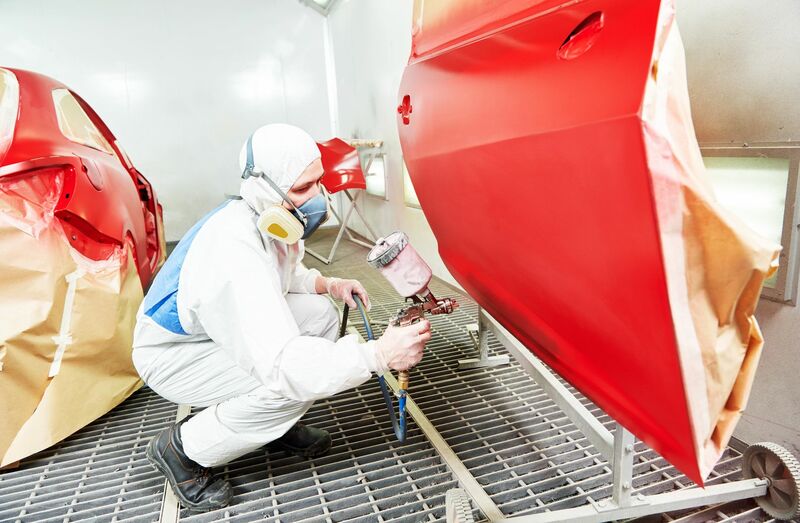 We have undertaken a huge range of work from simple bumper repairs, straightforward crash repairs including complete rebuilds of prestige cars. You can see some of our work that we have undertaken. Our Body-Shop is fully equipped with all the necessities that are required. Computerised colour mixing formulas for colour matching, heated spray booth etc. We can assure you of a quality vehicle crash repair car or commercial van. As an independent crash repair garage, we are able to undertake all types of bodywork jobs no matter how large or small. With a range of bumper repair techniques available to us we are able to resolve any repair job that comes our way on all makes of vehicles. We will discuss the available options with you. There is nothing worse than having scratches on your vehicles tarnishing the overall look and finish. These can appear from major or minor collisions but also from daily wear and tear. There is no need to put up with them anymore and pretend they aren’t there as our team of specialists are able to remove them with ease. All personalised services for your vehicles needs. Easy insurance claims or no need for them. No weakening of the body work. As a fleet owner, you need to know that your company car & company drivers can keep their company car or commercial vehicle in the condition it should be. Accidents, scuffs, scratches and scrapes can leave cars looking less than perfect and reflecting badly on your business. We can carry out quick and cost-effective accident repairs or SMART repairs on company cars and commercial vehicles with minimum fuss and time off the road. We also have recently installed a new commercial size spray booth.